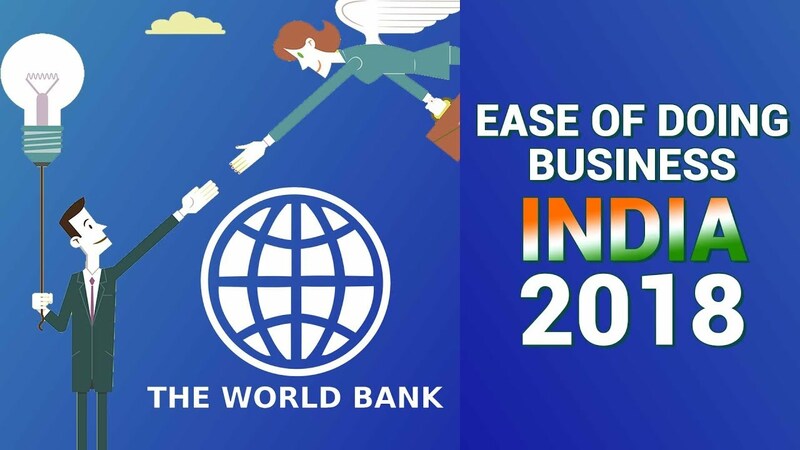 “India for the first time moved into the top 100 in the World Bank’s Ease of Doing Business global rankings on the back of sustained business reforms over the past several years,” asserted the World Bank. Over the years, Indian business landscape has witnessed an exponential growth. According to the latest annual ranking of World Bank, the country is ranked 100 among 190 economies in the ease of doing business. It is certainly a significant milestone in the continuing growth and development of the country. As a matter of fact, from the 130th position in 2016, India has surged to 100th position in 2017. From 2008-2017, the ease of doing business in India averaged 129.60. The country has improved its rank in majority of the 10 parameters, while it has progressed to global best practices in 9. The whole impact is mainly the aftermath of Finance Minister Arun Jaitley’s budget, which included that the approval to appoint fixed-term employees (which was earlier allowed only to apparel manufacturers) to become a part of the uniform labour law. Also, in its attempt to keep a check on the cutbacks of the reform, the government has asserted that the permanent employees cannot be compellingly moved to fixed-term employment. Though, it is certainly an achievement for the country, but the rankings released by the World Bank cannot be deemed as outright. There is a lot than what just meets the eye. Firstly, these rankings are mainly based on the financial and national capitals – Mumbai and Delhi. Secondly, the survey methodology has a few discrepancies and shortcomings in itself. It has overlooked the macroeconomic and political factors that also have an impact on business decisions to some extent. Also, ‘Ease of Doing Business’ should not only be based on the endless formalities needed to operate in a country, like what the survey covers in India. It is still believed that doing business in India under the NDA regime is just as difficult as it was during the UPA days. Thus, despite the rankings, the fact still remains that doing business is still not easy in India. I am Interested in Digital Technology and Emerging Trends.